Alzheimer’s patients generally fall into one of four personality “patterns” as their disease progresses. Knowing and understanding the pattern you’re dealing with helps both patient and caregiver. 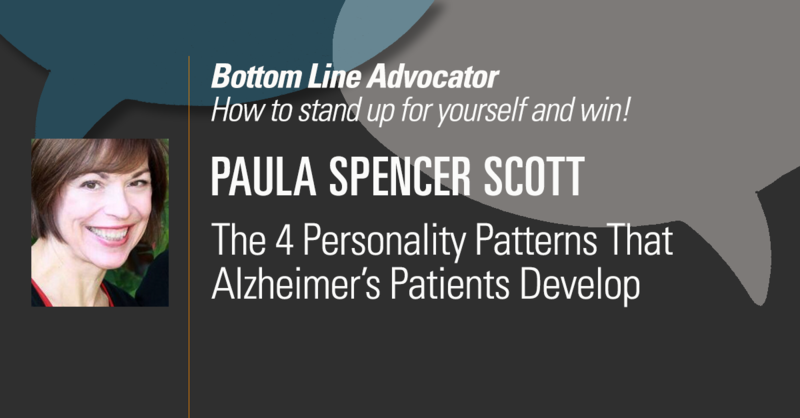 In this edition of The Bottom Line Advocator, Paula Spencer Scott, expert on Alzheimer’s and caregiving, explains how to identify and cope with these four personality types.